The is good news out of the U.S Department of Veteran Affairs’ On-The-Job Training and Apprenticeship program. One of BrightPath’s recent trainee students did the research and has shared the following information. This program is primarily geared towards construction-related career fields e.g. plumbers, electricians, HVAC, etc. and other careers such as firefighters, police, transportation, and public utilities. While appraisers are not listed, the appraiser trainee experience requirement to work under a supervisor appeared to be a good fit. Found a supervisor to take me on with a commission-based pay schedule that would periodically increase as I became more competent. This is the typical arrangement for how appraisal trainees are paid. I contacted the North Carolina State Approving Agency (NCSAA) for Veterans and Military Education. The director of the program, Dr. Joseph Wescott, told me, in order to use my GI Bill benefit, my employer had to be on the list of State Approving Agency (SAA) Approved Programs. He also told me the NC Department of Commerce (now the NC Department of Labor), was in charge of submitting potential apprenticeship/OJT programs to the NCSAA for approval. I then contacted the NC Department of Commerce. I was told that appraisers weren’t on the list of approved occupations for the apprentice/on-the-job training program because appraiser trainees do not typically get paid on a wage scale or hourly but based upon commission. I was told that if my employer was willing to pay me an hourly rate with periodic pay increases then they would explore the matter further. Another requirement was having worker’s compensation insurance. Knowing what my percentage of each appraisal was going to be and estimating the number of appraisals I would complete, I came up with my best guess at an hourly pay rate based on the number of hours I would work per month. Note that the minimum hours needed per month to receive the full GI Bill benefit is 120. In theory, my salary (method required by the VA) should be close to the original agreement with my supervisor. I also researched and found affordable workers compensation insurance for just under $300/year. 1-6 — 100% of GI Bill benefit or $1418 per month + $996 for textbooks. 7-12 — 80% of the benefit, or $1134.40 per month. 13-18 — 60% of the benefit or $850.80 per month) + another $996 for textbooks for year 2 of training. 19-24 — 40% of the benefit or $567.20 per month. My supervisor gave me pay raises every 6 months at the same time as the benefit reductions so my monthly pay would remain relatively stable during the entire training period. The rate above is based on my location. To find your rate, go to the Department of Defence Travel Management Office and enter the zip code and select E5 and click “CALCULATE” to find the amount you will receive during the first 6 months of training. After getting all this figured out, my supervisor and I started the bureaucratic process of getting benefits. Over the next three months, we answered lots of questions and filled out many forms required by the State and U.S. Department of Veterans Affairs. A few times during the process, we’d have a setback; and it didn’t look like it was going to get approved. To be honest, the process was frustrating and confusing at times; but this is to be expected as I was the first veteran to attempt to use the GI-Bill benefit for this type of training. But after some trials and errors, we got through it; and in late September 2017, McLamb & Associates in Wilmington NC became the first appraisal trainee program approved by the Department of Veterans Affairs. 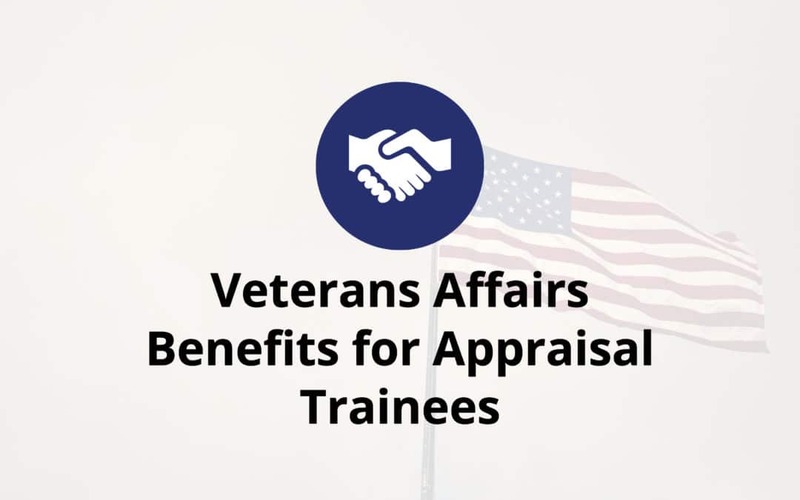 Now that the trail has been blazed, other veterans interested in being appraiser trainees can take advantage of the On-The-Job Training and Apprenticeship GI Bill benefit to supplement their income during the first 24 months of training. Good luck with following the trail Mark has blazed. I have met all the requirements for Licensed Appraiser in NC with the exception of my Associates Degree. I have 3 semesters of accredited hours and 8 years active duty. My many attempts to get an accounting of my military qualifying hours have produced nothing. I am ready to finish my degree, but need a liaison. Please help.